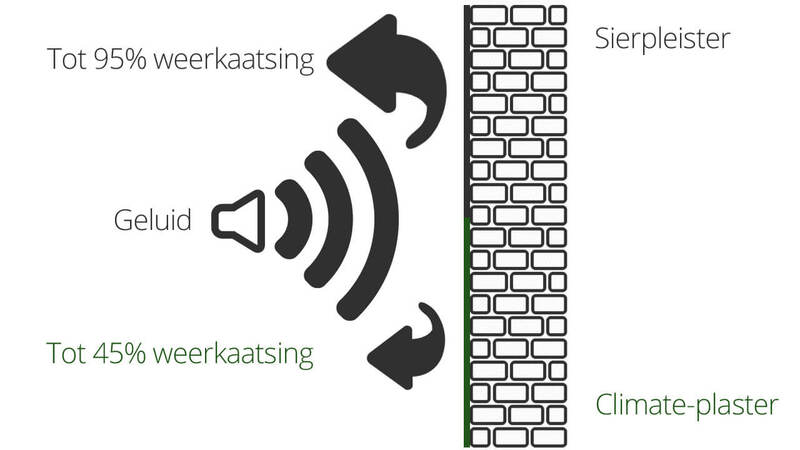 Climate-plaster is one of the only acoustic spray plasters available in all RAL colors while still being ecologically responsible. Reverb in your living room? In many, often modern, houses, there is reverb, due to the use of hard materials and flat, straight rooms, sound is not absorbed, it is reflected. You can prevent this by finishing your ceilings and walls with Climate-Plaster cotton plaster. Cotton plaster absorbs the sound of music and speech frequencies. If you can hear yourself twice when you’re talking and you’re hearing an echo when you are playing or listening to music, cotton plaster could be the perfect solution. The values differ in terms of spray layer thickness, the more layers, the better the acoustics. Various reports are available on the product information page, which you can download in PDF.